Civilian firearm holders will be issued with new identification cards that will be fitted with chips that will contain the personal details of holders. 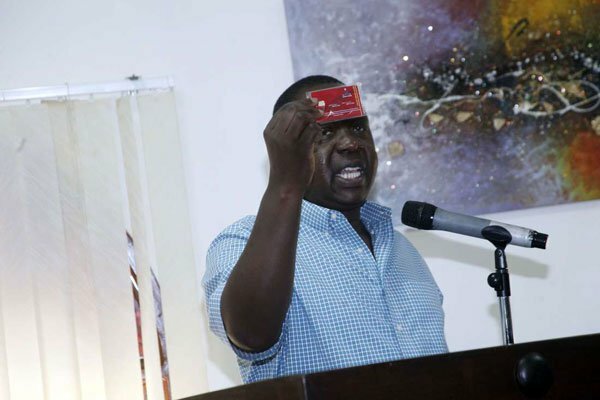 This was announced today by Interior CS Fred Matiang’i who said that all licenced gun holders have up to March 18 to acquire special identification cards. Matiang’i was speaking in Mombasa during a meeting with regional coordinators, regional police commanders, county commissioners and county police commanders from across the country. The CS said that the move is aimed at curbing the issue of unaccounted firearms in the wrong hands. “We collect a lot of cartridges but are not able to trace the firearms. These chips will help us be able to trace and track them,” said Matiang’i. This comes at a time the government is battling to have gun holders vetted afresh. Following an order from the government, the National Gun Owners Association went to court and successfully halted the plans to have its members vetted. Last week, Private Security Regulatory Authority announced plans to have private security guards following the Dusit D2 terror attack that left 21 people dead. During the launch of the card, the CS said that the war on terror is a global phenomenon, but the Kenyan Government is steadfast in ensuring safety of its people. “We are alert, and we remain alert. We remain resolute and committed in ensuring that our people are protected and any person who was directly or indirectly involved in the attack of Nairobi’s 14 Riverside Drive where 21 people lost their lives will soon be arrested,” said Matiangi. He added that the government has dedicated resources towards advancing coordination of security and intelligence committees as part of the efforts to address the emerging security challenges, especially terrorism. “The multi-agency approach in the management of the security sector is here to stay and all of us, as the leaders must ensure effective coordination, information sharing and joint security actions in our respective areas of jurisdiction,” he said.